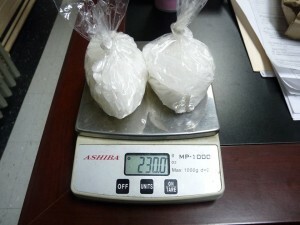 Lewis County officials seized 230 grams of crystal meth, also known as ice, Saturday night. The larges such seizure in Lewis County to date. Lewis County Sheriff’s Deputies have charged a Greenup County man with multiple offenses and made the largest seizure of methamphetamine on record. Sheriff Johnny Bivens says the arrest of Ollin Driggers, 40, of Greenup came Saturday evening after an auto was stopped while deputies were investigating suspected illegal drug activity. Bivens said he and Deputy Bryon Walker were conducting surveillance of an area when the stop was conducted. 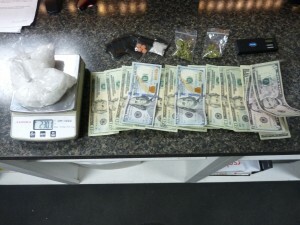 Saturday night’s seizure included money, ice, other drugs and drug paraphernalia. As a result of the stop, a half pound of a substance believed to be crystal methamphetamine, also known as ice, was seized from Driggers along with other narcotics and cash. The vehicle was also seized. Bivens said the average street price of ice is $80.00 to $100.00 per gram. He added Driggers was in possession of 230 grams, equal to 1/2 pound, resulting in the largest seizure ever in Lewis County. “We are grateful that this drug didn’t reach it’s intended location as it would have had a major impact in several communities throughout Lewis County,” Bivens said following the arrest. Driggers was charged with first-degree trafficking in a controlled substance, second-degree trafficking in a controlled substance, possession of drug paraphernalia and possession of marijuana. 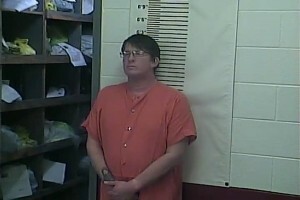 Driggers was lodged in the Lewis County Detention Center. Bivens said the investigation is ongoing and he anticipates additional charges against multiple individuals. Assisting Bivens and Walker were Deputy Mark Sparks and Deputy Matt Ross.